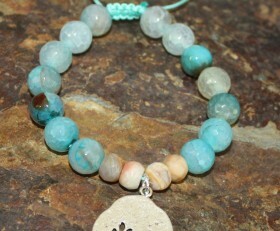 This unique and beautiful bracelet has fire agate beads in shades of blue, the colors of the ocean. It has a simple, silver tree charm symbolizing tree of life. A sliding knot closure makes it easy to take on and off. 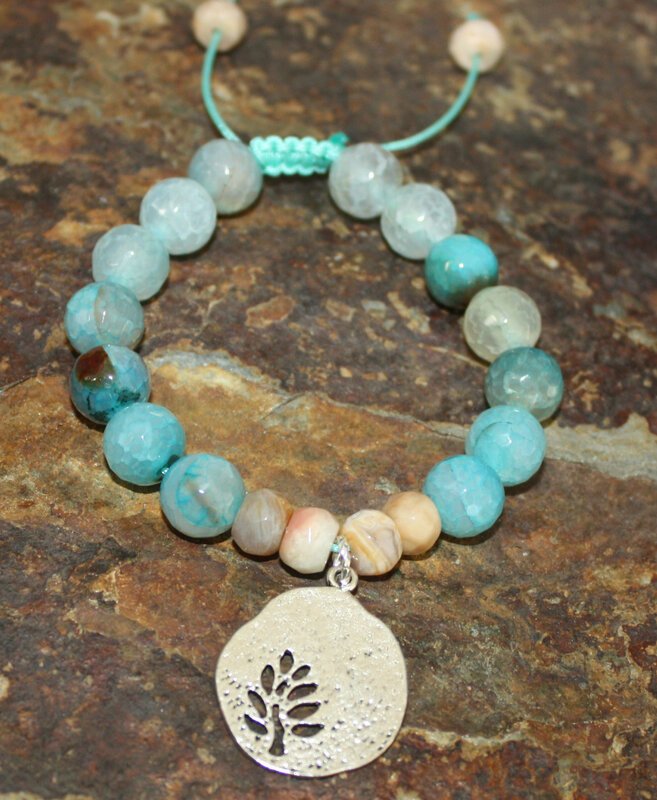 Categories: Beaded Bracelets, Bracelets, New, Yoga / Zen Life Bracelets, Yoga / Zen Life Jewelry.